Panel Built Inc. is proud to announce yet another way for public and private schools, colleges, universities, cities, counties, and other government entities to purchase their products. The Interlocal Purchasing System (TIPS) and Texas-Arkansas Purchasing System (TAPS) were both created to provide government entities, churches, and non-profit organizations with a centralized, simple purchasing process for everything from office furniture and software systems to mezzanine systems and modular offices. 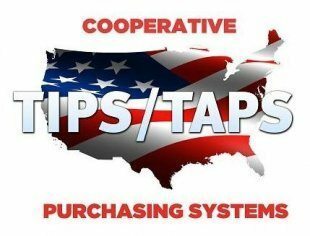 Recently, Panel Built has been granted status as a Tips/Taps Awarded Vendor, which provides benefits to both vendors and purchasing members of the co-op. Now Panel Built can expedite an order for a member because all purchasing requirements are completed during the RFP process. Likewise, a school district or other TIPS/TAPS Member can also benefit from the time and cost savings on each purchase since Tips/Taps Vendors have agreed to provide the best pricing, terms and conditions available. Tips/Taps also does a great job “leveling the field” for smaller entities that may not have the purchasing power alone to command the best pricing. By maintaining open competition for purchases and by complying with purchasing laws and ethical business practices, Tips/Taps also helps Members maintain credibility and confidence in business procedures.